I tell her occasionally, but I’m not sure if she ever really believes me: my 14-year-old niece Hannah is my daily inspiration. Before there was a coach Nick, or a support swimmer Peter (see this post), there was a Hannah. This is a challenging battle to win. If my rational voice wasn’t so totally weak when under the influence of recent sleep, it would stand up to the voices in my head and say “Shut up! I’m going swimming,” and that would be that. (Ah, I wish!) But, unfortunately, my rational voice turns out to be a massive dope, powerless and all but mute in the din of the rioting loud-mouth bullies (who invited them, anyway?) But of course, as I have written before, I do swim at 6am before work. What, you ask, is my saving grace? I am proud to share with you that she comes in a rock-solid and powerful, compact, 14-year old package, and is the kryptonite to my morning-monster-supervillians. Hannah is my oldest brother’s daughter, and a passionately dedicated and talented young swimmer. She was born when I was a senior in high school, and when she was about six, I gave her swim lessons and “taught her to swim.” I put this idea in quotation marks because it’s hard to take any credit at all in the creation of this swimming-machine. Not only is she an exceptional swimmer, Hannah has her own personal brand of motivation and dedication that may not be available to mere mortals such as myself. (If she could bottle it, she’d make zillions!) I certainly had no hand in teaching her this. I couldn’t have, because I have never in my life been as dedicated to a sport as Hannah is to swimming. Hannah has been swimming competitively since she was 8, and is usually on more than one swim team at a time, meaning she has had very few non-workout days in the past six years. Currently, as a freshman in high school, she swims for her school team (Roosevelt), as well as the demanding King Aquatic Club. When dressed in civilian clothes, she is basically in disguise as her alter-ego, a regular teenage girl. You know: fashionable and naturally pretty, hangs out with friends, gets absorbed in phone, likes to go shopping, etc. But one online store at which she can easily blow all of her money does not sell cute skirts, jewelry, or make-up. That’s right, she is the rare kind of teenager who ogles over (and used to ask Santa for) the newest and fastest swimsuits (currently it’s the TYR b-series racing suit), and other high-tech and pricey shave-a-fraction-of-a-second-off-my-time racing gear. And, for Hannah, those fractions of seconds are important. 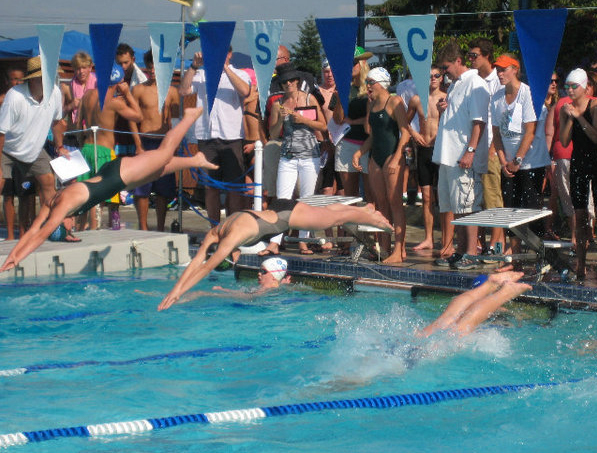 In swim competitions year round, she regularly advances to State, Regionals, All Cities, and Pacific Northwest championships. She’s fast. Hannah dives in for her leg of a relay, center diver. What really amazes me is just how much faster she is than I am (i.e. a LOT faster). Hannah swims 100 free in 58 seconds (fifty-eight seconds! ), and 200 free in 2:08. But those are not her best events. She is a breaststroker. In the 50 and 100 yard breaststroke she clocks a 0:31 and 1:10 respectively. I could go on, but the point I’m trying to make here, other than that my niece is pretty much the awesomest, is that Hannah is an inspiration. Hannah does this every morning before school. It’s no big deal. Get up. Hannah swims 2-3 hours a day, often swims before and after school, and averages 14 hours a week. You’re only going to swim for an hour this morning, and you’re not going back in after work. C’mon, don’t be a sissy. Get up. While “getting out of bed” sounds simple, or at least seems like something I should be able to do on my own, I’m really not sure that I could, certainly not in the beginning. My instinct in life is to avoid early mornings and too much strenuous aerobic exercise. When my goals and desires began to conflict with my instincts (i.e. I started training for triathlon and open water swimming,) I was not equipped to make it happen. I’m not sure I’ll ever get to the point where I want to jump out of bed early in the morning (I love my bed!) and head straight to a physically challenging workout (Masters workouts can be so hard! ), so to me it’s remains important to have a role model to emulate. My next project is to convince Hannah to try the open water. She is so totally dead-set against it. It’s got something to do with sea creatures or seaweed monsters or murky water. And I really don’t blame her; all of the above can be a real nuisance, especially in the Pacific Northwest where she lives. Perhaps I will have to entice her with an open water trip to someplace tropical, where the water is clear and warm, no mysterious slimy things tickle your toes, and the sea creatures are colorful, cute, and harmless. 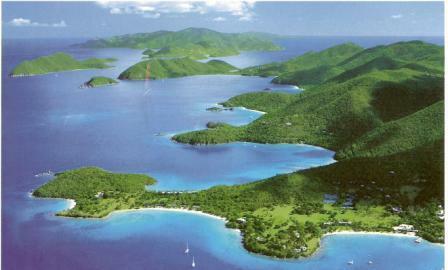 What do you say, Hannah, a high school graduation trip to the British Virgin Islands for some warm-water island hoping? You know you want to. Great picture at the top. 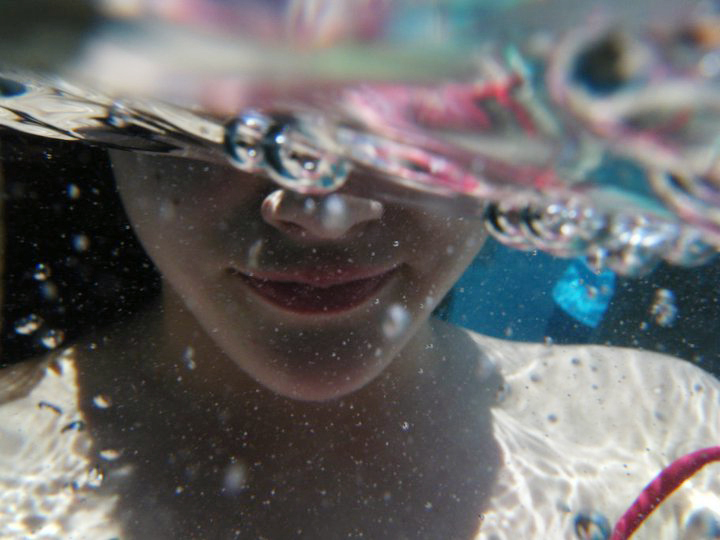 You and Rob have the best “in water” pictures. What camera do you use?